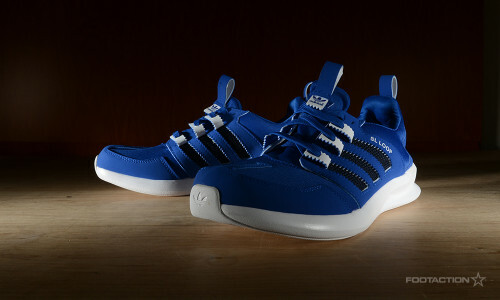 The adidas SL Loop “Royal” is a lifestyle sneaker that is both comfortable and stylish. Relying on a snug upper and a solid sole, the upper is made of a stretchy textile while the midsole provides excellent cushioning and is super soft. The rubber outsole of the shoe makes for durable traction. The sneaker’s royal base takes well to the synthetic suede, offset by navy blue mesh underlays. Print article This entry was posted by hhcblog on July 21, 2014 at 6:21 am, and is filed under Footwear. Follow any responses to this post through RSS 2.0. You can leave a response or trackback from your own site. Signature Detail, Reimagined The Nike LeBron 12 Lifestyle combines a premium look with long-lasting comfort. The shoe features a Game Royal suede upper and autoclave midsole. See more angles below and pick these up in stores or online (10am EDT) Friday, May 1st for $ 130.